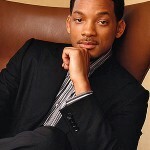 If Will Smith were to decide to stop acting, he could quickly find a job as a Success Guru. After listening to the video below I am convinced he knows the secret to success in life and has clearly used it to reach extraordinary heights. It is one of the most enlightening videos around from one of the least likely sources, or so I thought. Below are some of my favorite quotes from the video and then the video in its entirety. One summer, his dad tore down a brick wall in the front of his business and told 12-year-old Will and his 9-year-old brother to rebuild it, a job they said was impossible. It took them a year and a half, but they did it. “And he said, ‘Now, don’t you ever tell me there’s somethin’ that you can’t do.’ And walked right through that door, went inside. And me and my brother stood here and looked. And said, ‘Daddy crazy as hell, ain’t he? '” Smith recalls, laughing. The wall is still there, and so is the lesson he learned from building it. “I just put my head down and lay the first brick,” Smith explains. This is a side of Will Smith that I didn't know existed. I've always admired people who are talented (just innately good at certain things), but I recognize that these people didn't work for these gifts. Of course we can't hold this against them: who wouldn't want to be naturally talented? Still, I admire more a person who is less talented, but works tremendously hard to obtain their skills. The former comes from luck, and the latter is earned. However, when you find a person that is both talented AND has a strong work ethic, these are the people who change the world. These are the people who live up to their potential. I think you make a great point. You hit upon a certain truth: it is those people who find their innate talent and work as hard as they can to foster its growth that change the world. I've always wondered why some people don't succeed and I do think it's because they haven't found their true talent. Once a person finds it, they will be motivated to make the most of it and change the world. We also have to define "changing the world". It does not necessarily have to mean affecting millions. Isn't changing even one life for the better considered changing the world? i think so. I find will smith very inspiring!